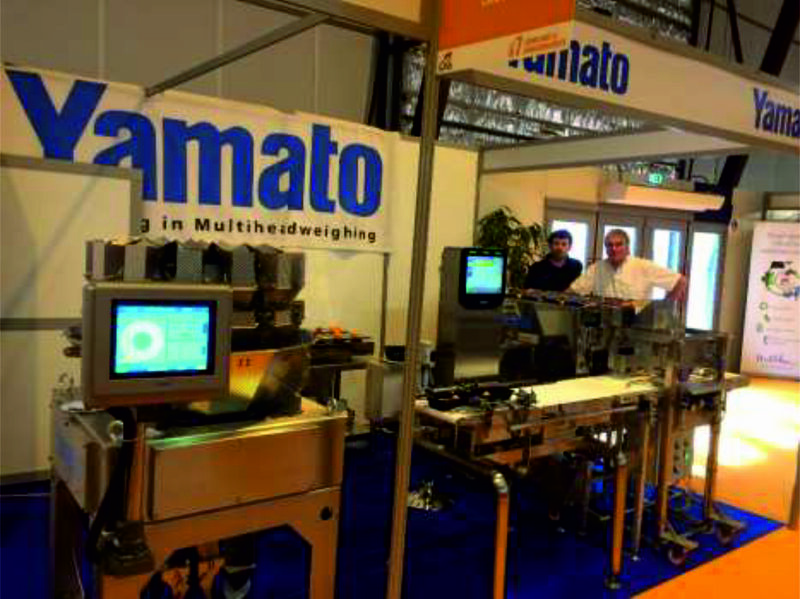 REVIEW | Yamato Scale France is pleased to report a very successful participation at the Cfia in Rennes. At this year’s 22nd edition of the Cfia, Yamato Scale provided the more than 20,000 visitors that came to Rennes the opportunity to discover the wide range of solutions that Yamato provides for the food industry. Representing Yamato’s multihead weighers, an ADW-F-314SV issued from the successful Sigma Frontier series was featured, along with a TSDW-205 semi automatic weigher and a checkweigher CSI33LW. As a special highlight, the Yamato booth was also host to the company Érélia, which joined the team from Yamato Scale France to present their special data transfer system. The combination of Yamato’s CSI33LW with Érélia’s diagnostic tool specifically tailored to improve the auto-control function of checkweighers generated much interest among the visitors. Equally in demand was detailed information on the combination of the semi automatic weigher TSDW-205 with the checkweigher CSI33LW. Visitors were able to see the distinct benefits brought about by the possibility of simultaneously improving a packaging line’s productivity and directly controlling its accuracy, thereby leading to an enhanced quality of the finished product. The Yamato team at Cfia would like to thank the many visitors for their interest. We hope to see you again soon at one of our events. With the upcoming exhibitions Empack in Zurich (Switzerland), Hispack in Barcelona (Spain), Ipack Ima in Milan (Italy) and FachPack in Nuremberg (Germany), Yamato Scale will be coming soon to an event near you! “For Yamato Scale France, the Cfia in Rennes always represents a special moment. The quality of the visitors coming with concrete projects is very impressive and grows continually from year to year. It is also a welcome opportunity to meet our existing customers as well as our business partners. Falling in line with the previous editions, this year’s Cfia allowed us to be creative in developing unique projects specially designed to correspond exactly to our customers’ needs.